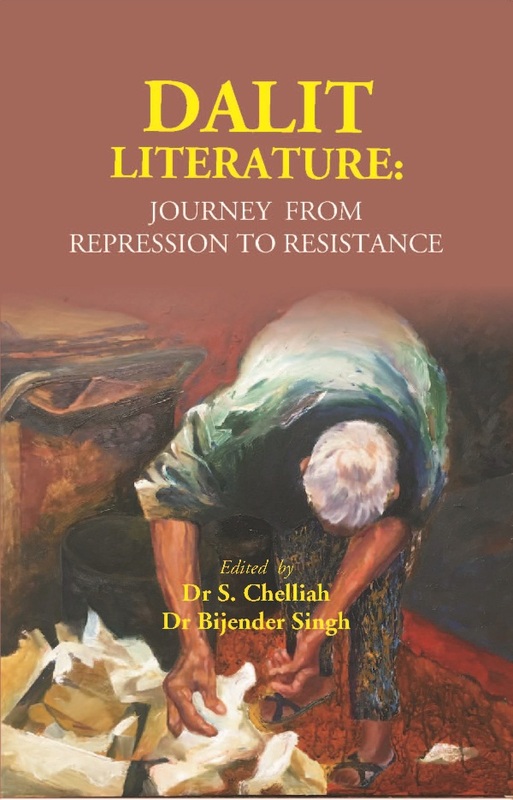 The Title 'Dalit Literature: Journey from Repression to Resistance written/authored/edited by Edited by:- Dr S. Chelliah, Dr Bijender Singh', published in the year 2019. The ISBN 9789353240523 is assigned to the Hardcover version of this title. This book has total of pp. 322 (Pages). The publisher of this title is Kalpaz Publications. This Book is in English. The subject of this book is Scheduled Castes / Dalit. Dr Sakunthala A.I. and Dr Sadhana Agrawal. Dr S. Chelliah is a Professor, Head and Chairperson of the School of English and Foreign Languages, Madurai Kamaraj University, Madurai, Tamil Nadu, India. He did his MA in English Literature from Madurai Kamaraj University, Madurai and got his PhD degree in English from Madurai Kamaraj University, Madurai after his committed research pursuit at American Studies Research Centre at Hyderabad. He has produced 17 PhD scholars, more than 195 MPhil scholars and 104 MA projects. He has published 6 books and 222 papers at various national and international journals. He has served as chief guest / guest speaker / special invitee at various national, international, UGC seminars and conferences and also served as an evaluator / adjudicator for more than 50 PhD dissertations at various universities. He has served as the Dean for curriculum development of Madurai Kamaraj University, Director for Board of Studies Section, director for Spoken English Institute of Madurai Kamaraj University, Coordinator for CBCS Wing, liaison officer for SC/ST Cell of Madurai Kamaraj University and member of Board of Studies of both UG / PG of Pondicherry University, Manonmaniam Sundaranar University, Bharathidhasan University, Trichy, Bharathiar University, Coimbatore and Gandhigrahm University and an examiner of various colleges / universities at both PG and MPhil levels and also coordinator for UGC remedial coaching scheme for SC/ST/OBC and minority categories. He has been awarded the Best Research Publisher Award (Highest Profile) by Arunai International Research Foundation and awarded DLitt for excellent contribution in English Literature and Language by International Economics University (SAARC Countries) in May 2018. Dr Bijender Singh (MA, MPhil, PhD, UGC-NET, U-SET, MH-SET, HP-SET, H-TET) presently lives at Rohtak and works as an English lecturer, editor and writer. He has done Sanskrit Honours (Shastri), Art & Crafts Teacher Course and Multi-Purpose Health Worker (Male) Course also. He writes in English, Hindi and Haryanavi. He has been the proud recipient of the Ambedkar Sahitya Ratna Award, Editorial Excellence Award and Dr B.R. Ambedkar National Award. He is the Editor-in-Chief of The Expression: An International Multidisciplinary e-Journal. He has written a few essays, some short-stories and many Hindi lyrics, ghazals, nazms and English poems. He has published many articles in peer-reviewed national and international journals, seminar and conference proceedings and edited anthologies. Many research papers/articles have been written and published on his poetry books. His published books are Late Night Poetry, Confusing Poetry, Love: A Sweet Poison, Gender Discourse in Indian Writings in English, Indian Writing in English: Critical Insights, Indian Dalit Literature: Critical Ruminations, Critical Essays on Indian Diaspora, Indian Dalit Autobiographies: Marginalized Voices, Indian Women Novelists: Feminist Reverberations, Dalit Women's Autobiographies: A Critical Appraisal, Race and Ethnicity: African-American Literature, Female Protagonists in Shashi Deshpande's Novels, Dalit Men's Autobiographies: A Critical Appraisal, Diaspora, Women and the Marginalized: Literary Perspectives, English Language Teaching: Innovations and Practices, V.S. Naipaul: A Critical Evaluation and Comparative Literature: A Global Perspective. Some of his books are available at the Library of Congress, Washington DC, USA.